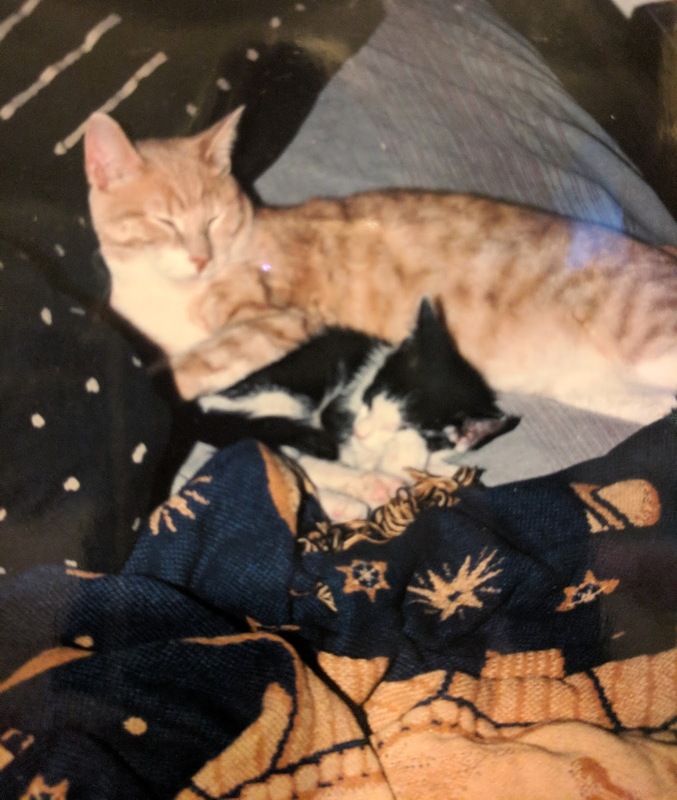 I've been a kitty mama for 20 years. I've spent more time with my cats than I have with most people. Spike was one of three cats we have cared for and the one who was lucky to live the longest. To say things feel wrong without my sweet little buddy would be the under-est of understatements. I know it was time for him to go but even though it feels like we were preparing for this for a while, I'm still left with a big gaping empty. It's not that I wanted him to keep on living the way he was, I'm just sad for the good times we can't have back. Our cats had very different personalities. The stereotype about cats is that they are aloof and while sometimes that can be true, if you're around them a lot you'll find they all have their own individual quirks. 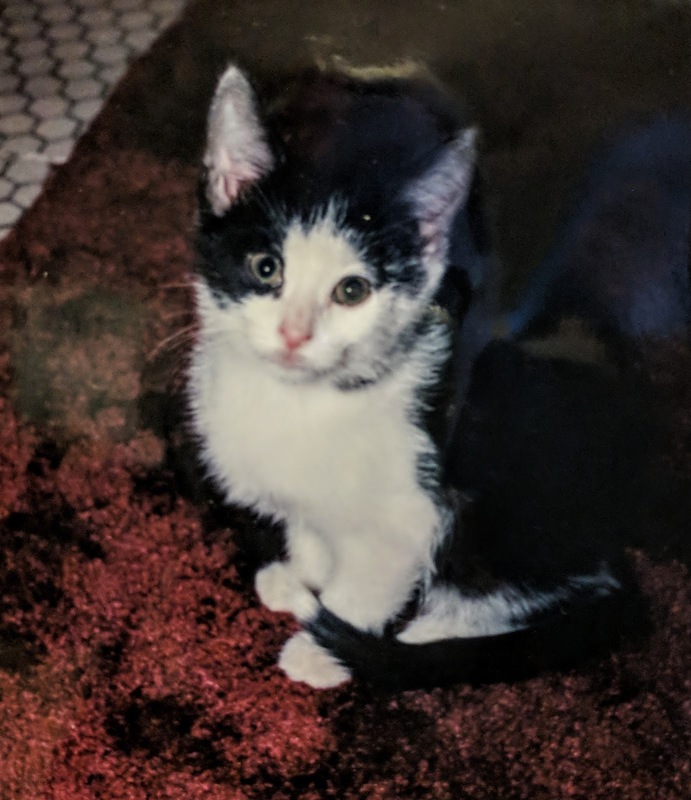 Our first cat Sailor (also known as Po) was definitely "king." He was the alpha-cat in charge and he knew it. Lulu, the youngest and smallest was of course the baby. She was an oddball who liked us enough but really loved her brothers above all humans. Then there was Spike. Spike the gentleman. Spike the protector. My little shadow. We didn't intend to get more than one cat but after having Po for a few months I knew I wanted him to have a friend. I remember stopping into the local pet shop by our apartment a little after Christmas in 1997 and saw they had a new litter of kittens just a few weeks old. One in particular jumped out at me but I needed to convince Jason it was a good idea first. After a couple of weeks he caved and we went in to get the kitten but when we arrived someone else was there getting ready to buy the one I had my eye on. Turning back to the other kittens in the litter I saw one hanging back from the others not drawing a lot of attention to himself. He had a sweet looking face and little white tip at the end of his black tail. How could I have ever wanted any cat other than this one? He was obviously perfect and we brought him home with us that day. We named him Spike-- partly after the character from Buffy the Vampire Slayer but also because he was a tough little guy who held his own against a not very happy Po when we first introduced them. After a few days he settled in though and they were good buddies together for many many years. 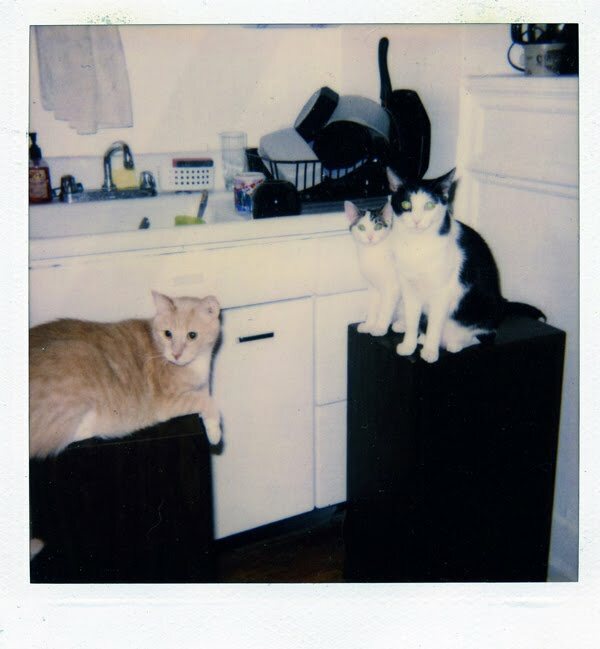 The two of them used to sun themselves in the windowsill of our apartment in Chicago where I would always hear people walking by and saying hello to them. With the addition of Lulu a year later our little kitty family was complete. Sailor, Lulu, Spike. Fall 1999. As he grew, Spike latched on to me and loved me like no other cat I've ever had. If I was at home he would follow me around all day. He always wanted to be near me, watching me, talking to me. 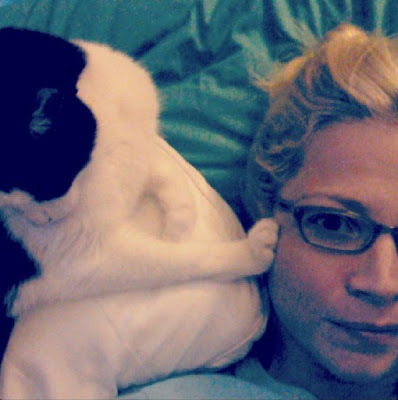 He even slept on my pillow every night right up by my head, purring into my ear. You would see him light up with excitement when he could see I was getting ready for bed. 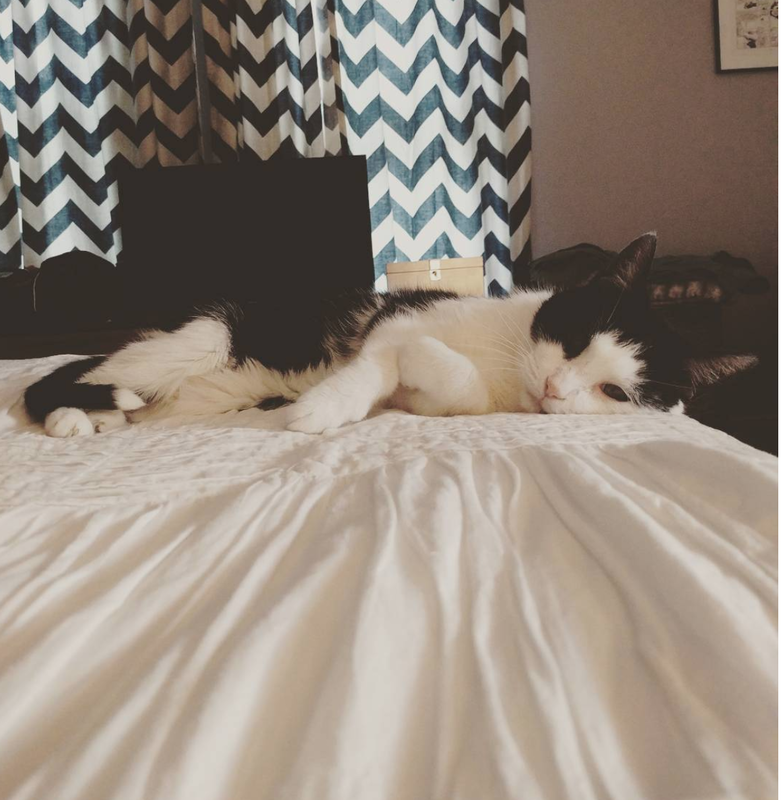 As he got older he spent less time following me around but he always found me on my pillow the end of the day. Like most cats, he loved soaking up the sunshine. 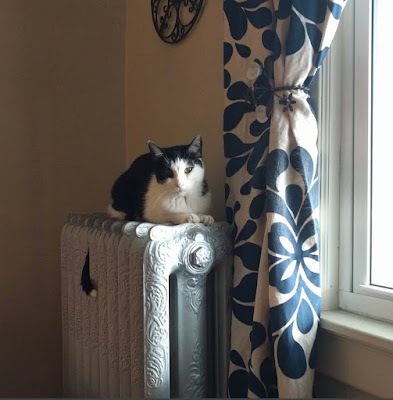 He especially loved the new balcony we built a couple of years ago and every winter he spent most of the day lounging on one of the radiators. 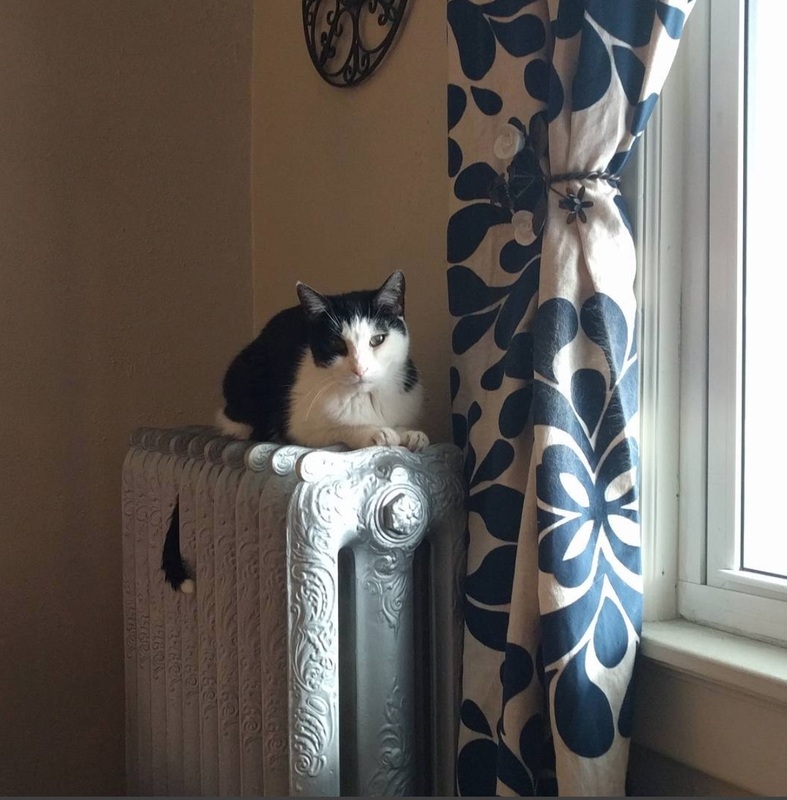 I always said Spike on the radiator in October was the one true harbinger of winter. 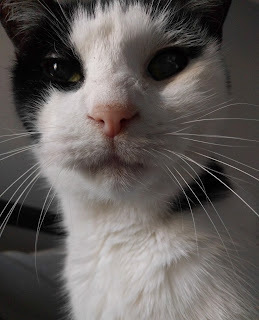 In his final year we believe he may have been experiencing some dementia as he would often leave a room and then start meowing and howling like he couldn't find us. Jason, the kids and I would always howl back so he could remember where we were. When we would come home after being away a while he would "talk" nonstop to me for what seemed like hours. I hated leaving him alone for a longer stretch of time this past year but loved how hearing how happy he was when we would return. The house feels so quiet when I open the door now. Making sure I don't go anywhere. I miss my friend. It's been twenty years since I've been without a pet. I don't know if/when we will get another one. Having older (or sick) cats for the past 8-10 years has been a lot. I also can't imagine having a different cat right now- although I realize that things are fresh and that will most likely change. What I do know what that we gave all our cats fantastic, long lives where they were very much loved. I also know without a doubt that Spike loved me. I just hope there are sunny porches and warm radiators in kitty heaven. Missing my sweet little buddy on this cold Sunday.